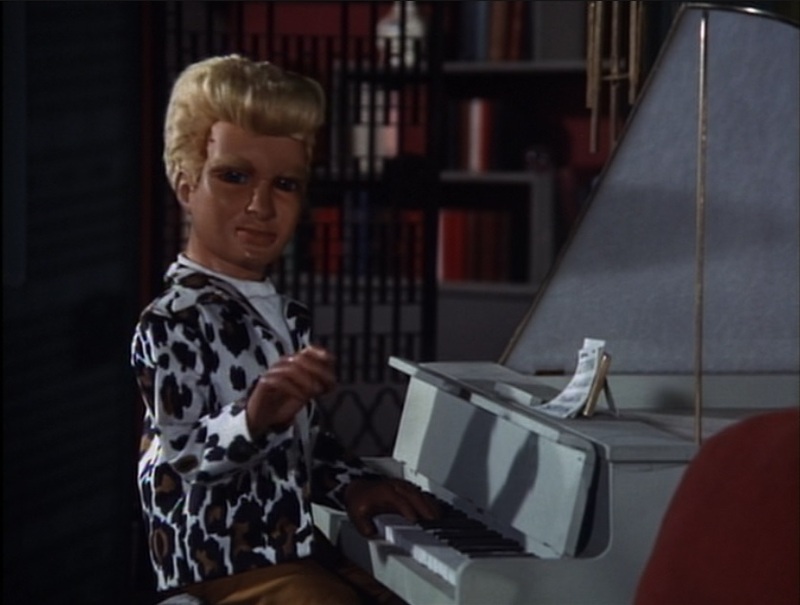 Unless I’m mistaken and there’s an episode of Fireball XL-5 set there, this may be Gerry Anderson’s first crack at setting a story around a base on the moon. 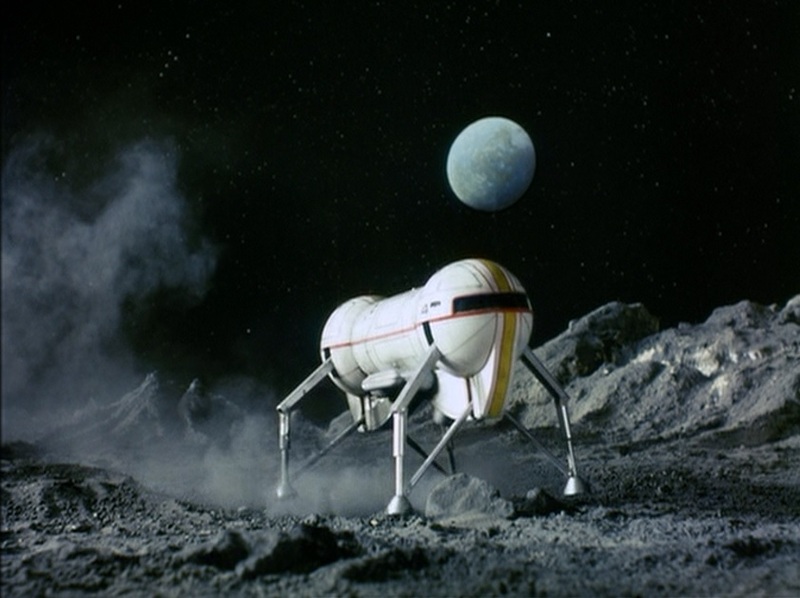 When he finally got to make a live action series in 1970, UFO, he incorporated a moonbase, and that later led to the proposals which became Space: 1999. This is almost a terrific episode, and certainly among the best from the series’ first half. The writer, Tony Barwick, seems to have run out of ideas how to end it, and the production team’s desire to blow everything up real good left him fumbling for a way to make the moonbase blow up, but getting there was very fun. 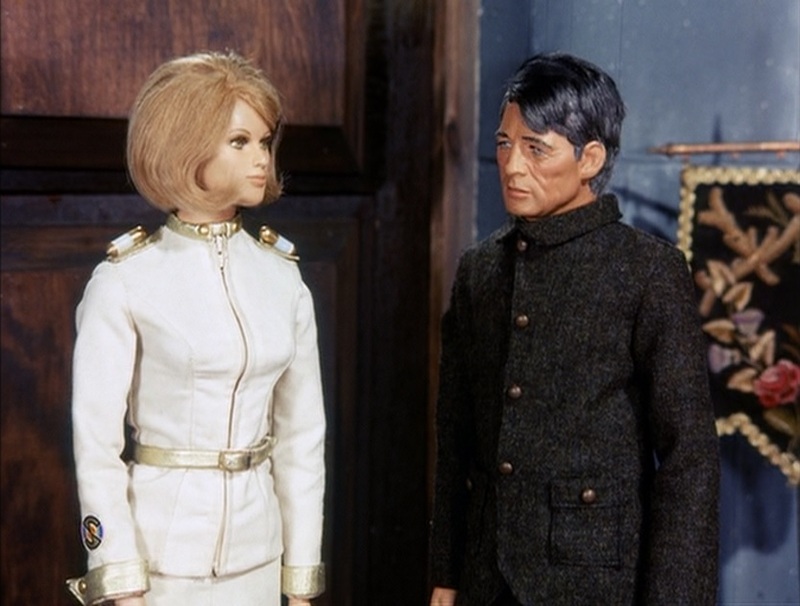 It’s just a really creepy installment, with the moonbase characters acting obviously suspicious, but no really good way for Captains Scarlet and Blue and Lt. Green to know what they’re up to. It’s the same sort of story that would be done better in an hour drama, with more time to develop it, because the slow, creepy, and deliberate pace doesn’t allow for a fast-moving plot. That’s probably why the foolish climax – the Mysteron duplicate of the lunar controller throws a tantrum and starts shooting his computer because it won’t listen to him – is such a disappointment. This was an episode that didn’t need to end with a big explosion for once. 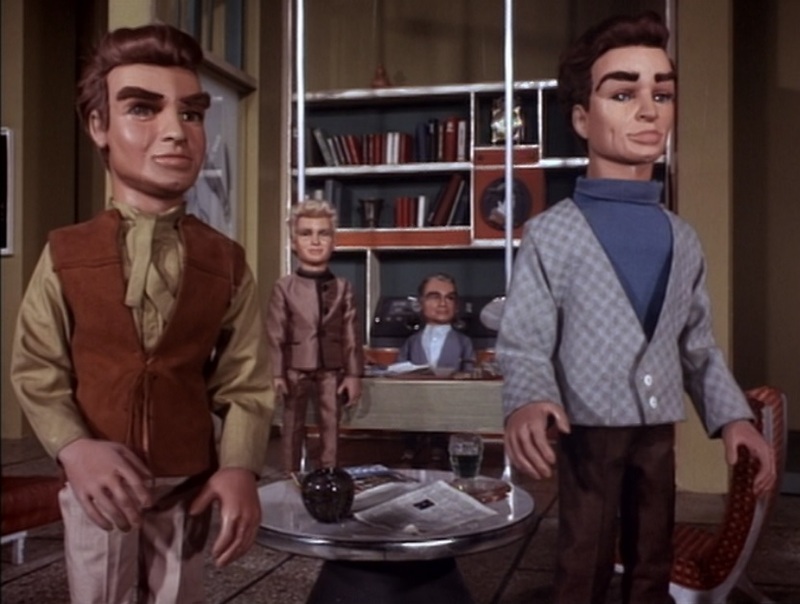 Of course, having said that, I don’t know that anybody in the television business in the 1960s could make things blow up nearly as well as Anderson’s team. If we must end with fireworks, it’s nice to see them done so well! Daniel was restless and initially not interested in watching, but he was captivated pretty quickly. Even though it is not a thrill ride episode, it’s so strange and mysterious that it caught his attention. For the most part, he sat still, curled up with Mommy, occasionally fibbing “I’m scared” when we could tell that he wasn’t. It’s always nice when he plays along and gets into the spirit of things.